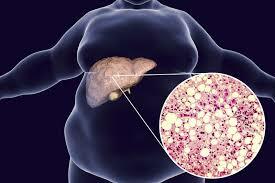 Track Liver Fat With MRI? - Sound Imaging Inc.
A study reported by Duke University researchers on Protein Density Fat Fraction (PDFF) in MRI liver imaging as a non-invasive way to diagnose non-alcoholic fatty liver disease (NAFLD). That study confirmed its utility but also found that the method was less effective in distinguishing NAFLD from its more advanced cousin, non-alcoholic steatohepatitis (NASH). In this report, we follow up on what has happened since that report with MRI methods of diagnosing and monitoring non-alcoholic liver disease. Results of that study may have been surprising, as a study published in Alimentary Pharmacology and Therapeutics a few months earlier had been more positive. Peter J. Eddowes, MD, of the University of Birmingham, and associates had compared the performance and cost-effectiveness of multiparametric MRI with biomarkers and elastography in 50 biopsy patients and six healthy volunteers. Multiparametric MRI accurately identified patients with steatosis, stratified those with NASH or simple steatosis, and reliably excluded clinically significant liver disease. The technique showed a superior negative predictive value (83.3%) compared with liver stiffness (42.9%) and enhanced liver fibrosis score (57.1%). MRI was cost-effective and, when combined with transient elastography, had the lowest cost per correct diagnosis, the authors found. Although it did not discriminate between individual histological fibrosis stages, for the purpose of stratification for NAFLD, multiparametric MRI could save £150,218 ($189,971) per 1000 patients versus biopsy. At about the same time as that publication from Duke, Eddowes’ group reported in Nature that the technique was accurate in detecting fibro-inflammatory injury, hepatic fat, and iron across a range of disease severity and etiology. It did so with excellent repeatability and reproducibility. Its diagnostic performance was comparable to well-validated non-invasive biomarkers, the researchers found, concluding that parametric MRI technology should be further refined for assessing liver disease. Despite its impressive feats, researchers still have big doubts on whether or not MRI method is ready to replace biopsy for assessing advanced disease. In December, researchers from the University of Wisconsin-Madison reported in Radiology on MRI’s performance, specifically for monitoring reductions in liver fat after bariatric surgery. B. Dustin Pooler, MD, and colleagues used quantitative chemical-shift-encoded MRI to compare longitudinal changes in liver fat with changes in weight, body mass index, and waist circumference in 50 patients undergoing various bariatric surgery procedures. MRI showed that average PDFF decreased to the normal range of <5% by 6 to 10 months after surgery with mean time to normalization of 5 months. The main predictor of change rate and time to normalization was the extent of pre-treatment PDFF. Interestingly, body anthropometrics were not indicators of either outcome. The authors concluded that PDFF on MRI may be a useful adjunct for selecting the best candidates for bariatric surgery. In addition, in view of the weak correlation between liver fat reduction and overall weight loss, MRI monitoring of PDFF in bariatric surgery patients over time may be useful, regardless of their actual weight loss. Pooler’s center is increasingly applying MRI to assess PDFF, using a cost-effective abbreviated “MRI lite” protocol that involves no contrast medium and takes only 5 minutes of table time. It compares favorably in cost with other tests such as ultrasound, computed tomography, and biopsy, he said. Commenting on the differing results with different MRI approaches, Gideon Hirschfield, MD, of the University of Birmingham told MedPage Today, “Each technology has strengths and weaknesses. What we always need to think about is does the test add to anything that we didn’t know already.” Hirschfield stressed the need for more prospective MRI studies and head-to-head comparisons with multiple different MRI techniques, blood markers of liver fibrosis, and other non-invasive tools such as elastography. “We also need those studies to be conducted with longer follow up and at different stages of a patient’s journey – for example in primary care, secondary care, and tertiary care.” Following the continuous improvements of MRI technology, most technologist/hospitals often overlooked important aspect such as patients’ comfort when it comes to priority. Sound Imaging is your one-stop shop for all MRI systems and accessories that are ISO certified and low-price guaranteed. Please, feel free to visit our website to check all our MRI systems and accessories including the MRI Visors, MRI Stereo, SAMM MD, and Bi-Directional.